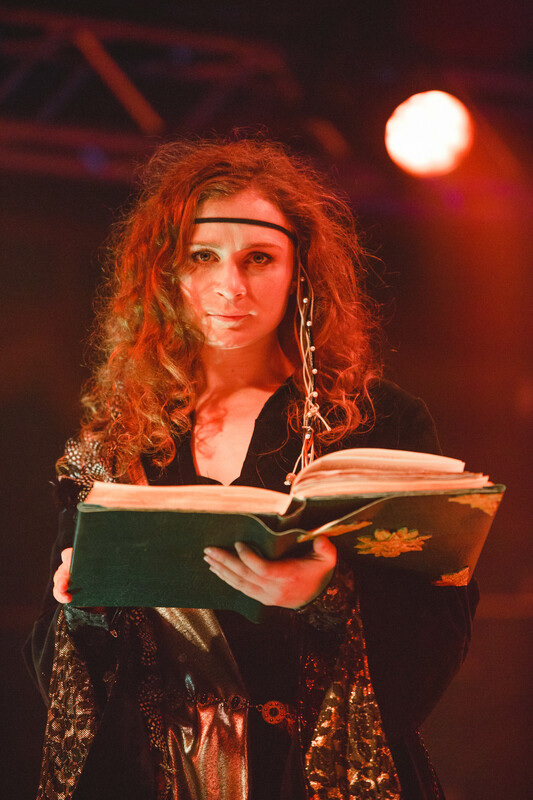 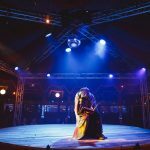 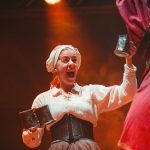 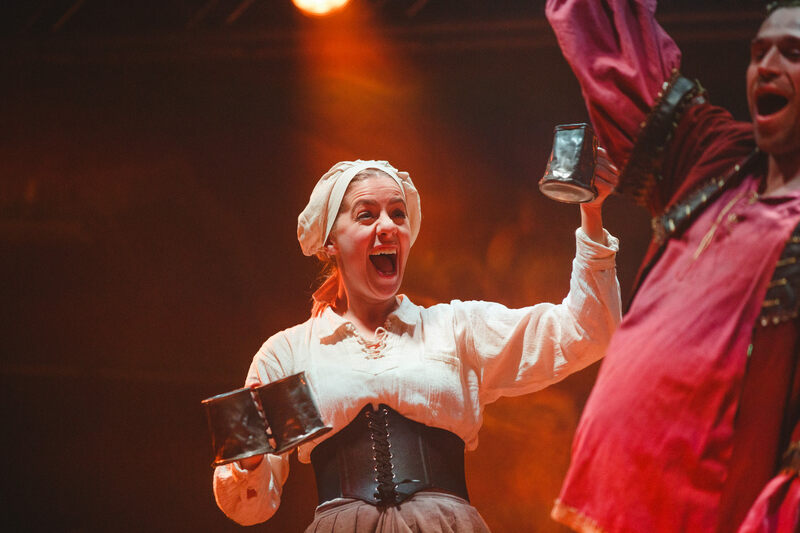 This original adaptation by director Caroline Devlin, saw us bring the 80-year old Spiegeltent back to Guildford for the second consecutive year. 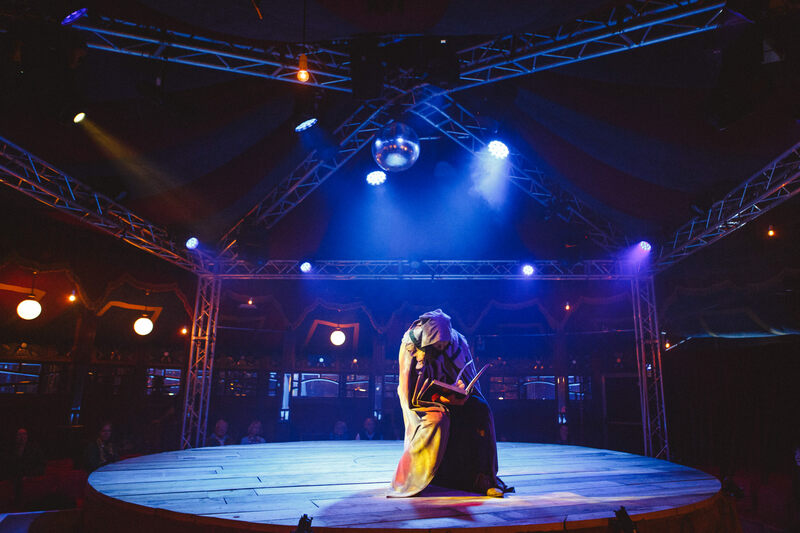 A circular stage in the centre of this magical antique venue revealed trapdoors, hydraulic lifts and of course the famous 'sword in the stone'. 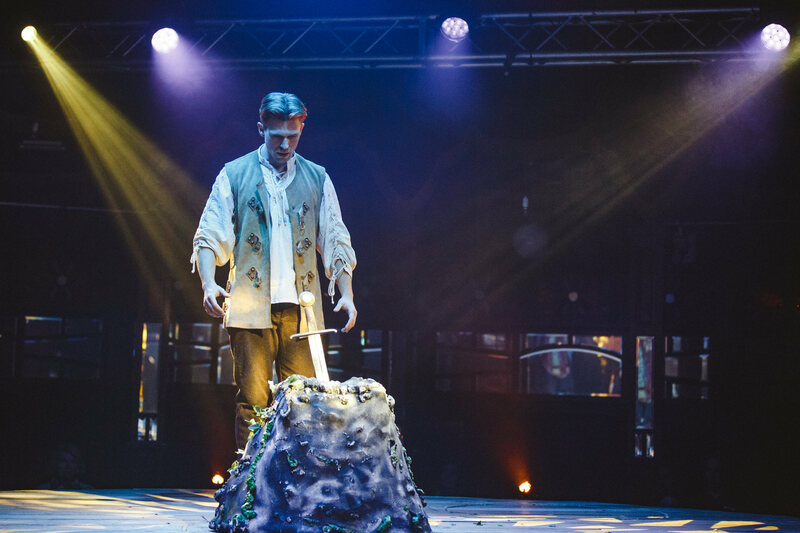 Live magic, original songs and lots of audience participation made this an unforgettable family autumn show. 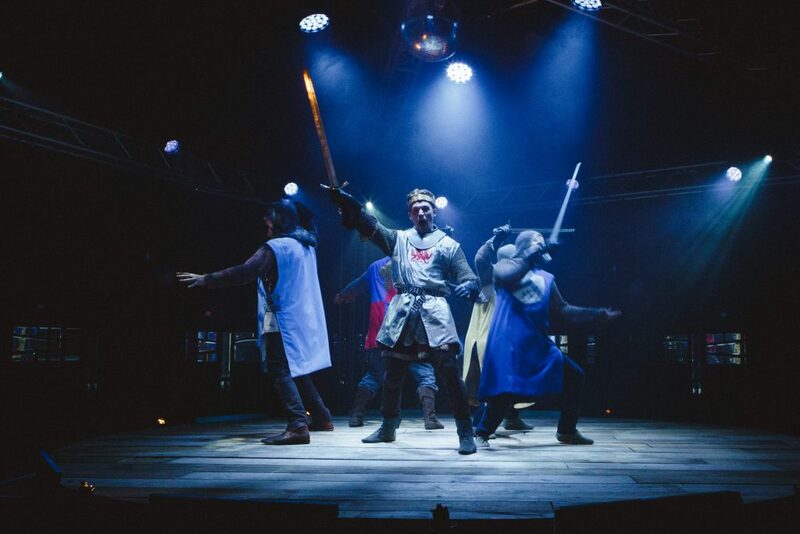 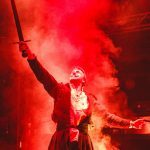 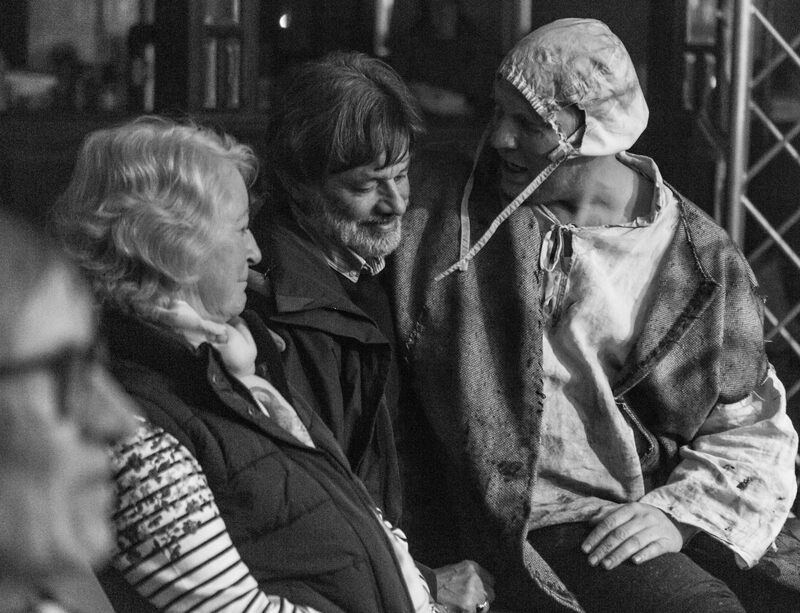 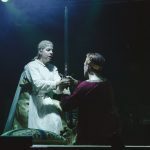 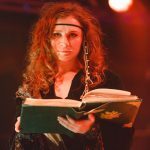 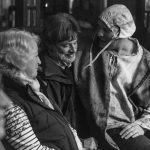 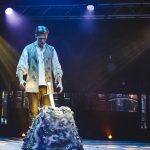 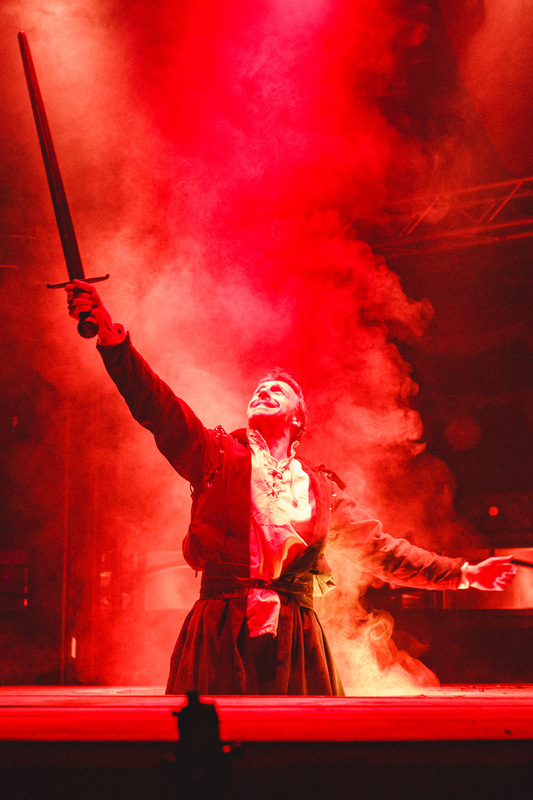 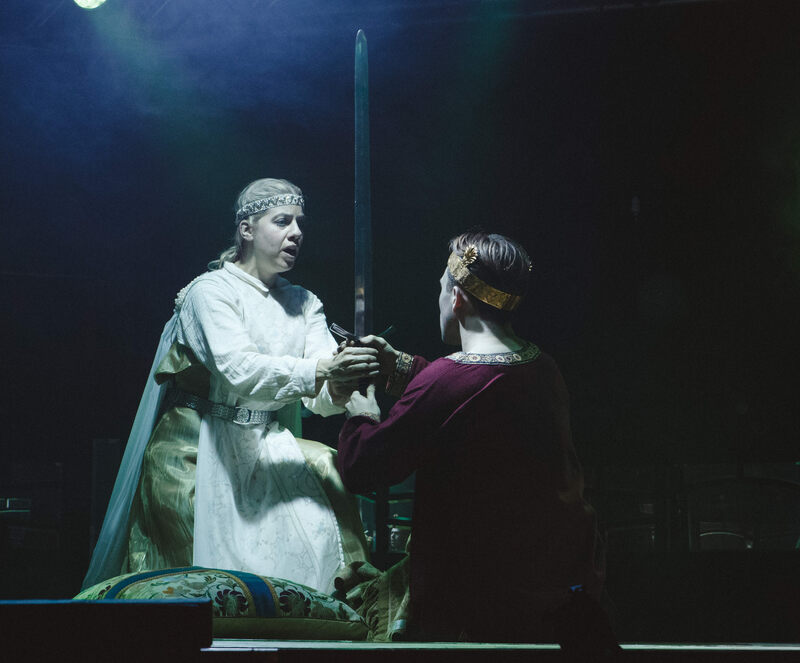 From Twitter: "The Legend of King Arthur is soaked in talent, wrapped in love and served selflessly by @GuildfordBard to the lucky people of Britain #LuckyGuildford #Legend"